Greenside bunker on the par 5 18th hole of the Bandon Dunes Golf Course with the Bandon Dunes Lodge beyond. 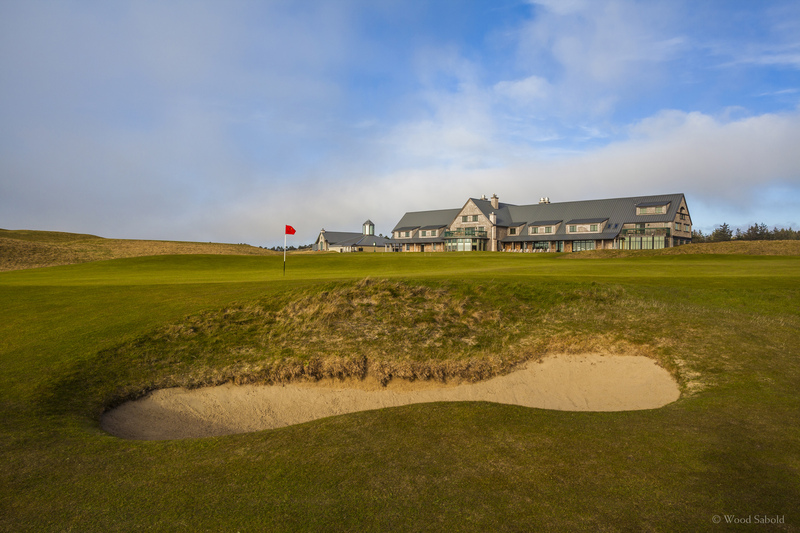 The Bandon Dunes Course is the first course of the Bandon Dunes Golf Resort. Opened in 1999 to great acclaim and has been continuously in the top public golf course rankings in the world. Architect, David McLay Kidd, DMK Design.